Hey Josh, what have you been up to since the last race in 2016? I ended up breaking my arm at the last race so I took some time to focus on school and participate in school activities while waiting for my injury to heal. What other activities do you like to partake in during the off season? 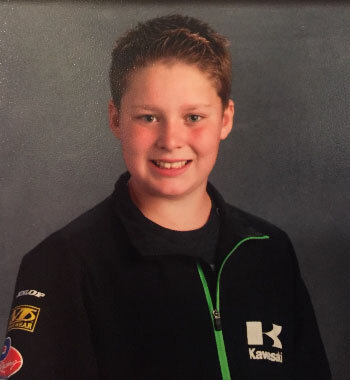 I play basketball, volleyball, badminton and I also really enjoy going out on the ski-Doo and skiing. 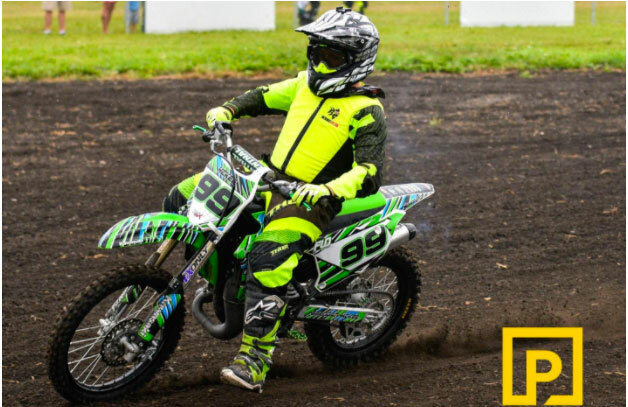 I started riding and racing when I was seven years of age. Which track is your favourite track and why? 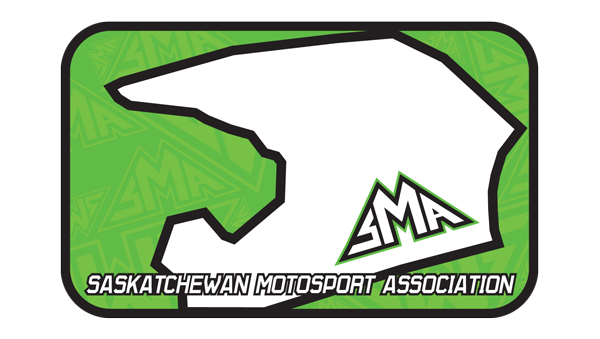 What do you like the most about Saskatchewan Motocross? Just the whole community is very kind and supportive, and it makes going to the races very fun and relaxed. 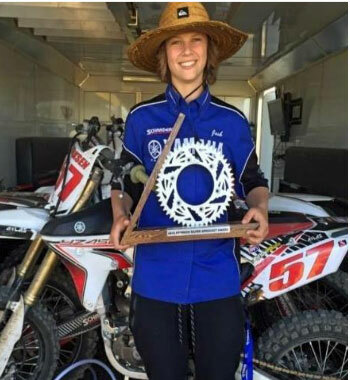 You had a great season last year, and won the Silver Sprocket. Can you tell us about it, and what else you won? It was an amazing experience to have won this award, and one of my most memorable accomplishments thus far in this sport! I also won a factory ride from Yamaha Canada during the week, by accumulating the most combined points in classes than the competition, as well as the most points combined for a Yamaha rider. Can you tell us what your other accomplishments have been? Qualifying for Loretta Lynn’s is a very big accomplishment for me being one of the best racers in North America in my age category. Another valued accomplishment would be when I won three provincial championships in Saskatchewan in 2012 I believe! What are your racing goals for 2017 and beyond? Getting a pro national number is my goal for this season and moving up to the pro class. I’ve been waiting to do for a very long time! Who are the sponsors that you would like to thank? I’d like to thank TH Racing, Schraders, Yamaha Canada, Matrix Concepts, FXR, 100% Goggles, Atlas Brace, and everyone who’s helped me get to where I’m at today and I appreciate all the support! Hey Brendan, what have you been up to since the last race in 2016? My brother and I took our bikes down to Arizona at Christmas and rode in the dessert, we then hit California and attend Anaheim 1 Supercross. I have been snowboarding, snowmobiling and ice fishing. I was nine years old, and my first race was in Weyburn. Alcurve is my favorite track because I can fly like a bird!! Getting to together most weekends, hanging out with friends, and riding the different tracks in Sask. I find that there are so many good travel stories of going to races out there… What is your most memorable moment while traveling to a race? The very first year I raced in the SMA on our way to the Assiniboia race my dad blew his turbo in his truck and my family had to travel to the race with 3 different families we hardly knew. After that weekend, we sure knew all those families much better. You had a great season last year, and are the 2016 Team Green Canada Champion. Can you tell us about it, and what you won? Team Green is a Kawasaki program that provides provincial monetary prizes for the top 3 riders in each province. I won the provincial award in Saskatchewan as well as I won the grand prize in Canada which was a 2017 Kawasaki KX250F. 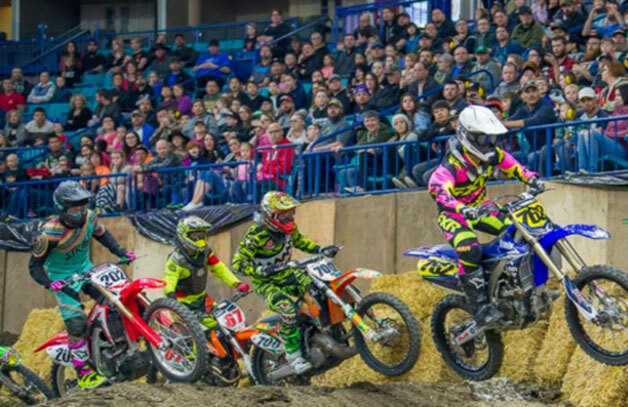 Lloydminster has a local series call the Midwest Amateur Series that I raced in last year and won both the 85 (12-16) and Supermini classes. I would like to win both 85 (12-16) & Supermini classes again this year. I would like to thank the following; Performance Motosports, Larsons Ranching, Kawasaki Team Green, Flo Motosports, GMACK Oilfield Services, DC Garage Concepts, Raider Well Servicing, Parts Canada, and Lethal Motorsports.